The simplified interface brings together the wallets, trading, news and coin information is a single screen. Improved security is built into every layer of the system. Full transparency is provided through Proof of Solvency. Based and incorporated in Australia, registered as a Digital Currency Exchange and Independent Remittance Dealer. Currently listing 60+ coins including Bitcoin, Ethereum, Ripple, Litecoin, Stellar and NEO. To send crypto to someone, you first have to ask them their deposit address, copy it into your wallet software/exchange, request the withdrawal and wait for the blockchain to confirm. We aim to simplify this by allowing our customer to send funds using email, sms or just a link you can share through any platform. This can make sending crypto convenient, free and instant. 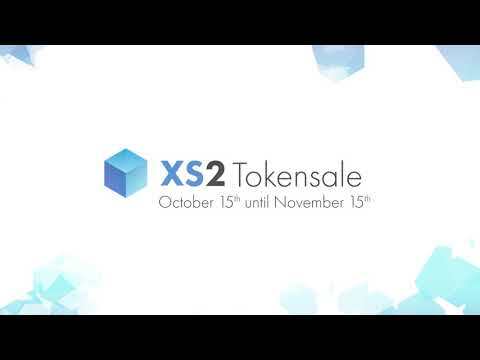 The XS2 wallet can be a convenient and secure place to store your funds. We aim to support any ethereum token to be stored in customer's wallet (And maybe other tokens on Stellar, NEO, etc). This will make it easy to store your funds and also could allow for free and instant sending to others. The great thing about decentralized exchanges, the Bancor network, etc is the wide range of tokens you can buy that aren't available anywhere else. Unfortunately only quite tech savvy users are currently able to access these exchanges. We are aiming to bridge this gap by allowing our customers to use their ethereum in their secure XS2 wallet to buy tokens on a range of decentralized exchanges. Technically we will use our company funds in a hot wallet to actually make the purchase because we always keep 100% of customer's funds in cold storage. We love CryptoKitties! We aim to support the storing of ERC-721 tokens in your XS2 wallet (cold storage), create a marketplace with very low fees and the ability to buy adorable kitties and receiving them directly into your XS2 wallet without the need to install extra software like MetaMask, etc. Crypto has an exciting future ahead and the possibilities and features are constantly expanding. We aim to keep developing to achieve our mission of making crypto simple, secure and accessible to anyone.